Read an excerpt from Cora Carmack’s latest! If there is anyone who is a one-click author, it’s Cora Carmack. I’ve been a faithful devotee since I read LOSING IT. (Yes, I’m a total fangirl!) Literally the moment her books are on sale, they’re on my e-reader. 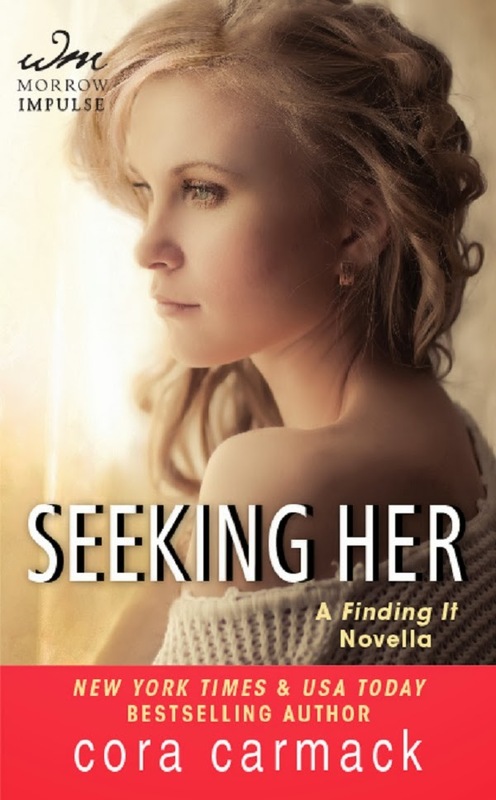 You can pre-order her latest novella, SEEKING HER, which will be available on January 28. SEEKING HER features Jackson, the hottie who was hired to babysit Kelsey as she parties in Europe. (You’ll remember Kelsey as Bliss’s BFF from Losing It.) Below is a link to an excerpt. Cora Carmack is a twenty-something writer who likes to write about twenty-something characters. She’s done a multitude of things in her life–boring jobs (like working retail), fun jobs (like working in a theatre), stressful jobs (like teaching), and dream jobs (like writing). She enjoys placing her characters in the most awkward situations possible, and then trying to help them get a boyfriend out of it. Awkward people need love, too. Her first book, LOSING IT, is a New York Times and USA Today bestseller.